Spring Valley Health and Rehabilitation Center is a community based, non-profit, Medicare and Medicaid certified skilled nursing facility. We offer personalized nursing care and rehabilitative and supportive services on a beautiful rural campus that promotes healing and recovery. We pride ourselves in offering the most flexible options for your family, loved ones, or yourself. 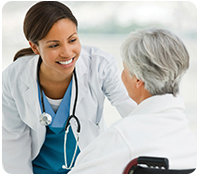 Our services promote and assist in a person’s recuperation from illness, injury, or surgery. Our friendly and experienced staff of professional nurses, certified caregivers, and registered therapists, all play a vital role in a resident’s care planning team. It is the goal of our rehabilitation therapies to ensure that residents reach their highest level of independence, enabling them to return home after a period of rehabilitation. Our facility also has the most state-of-the-art equipment available to focus on your well-being and enrichment of daily life. Residents will enjoy our warm and inviting great areas, attractive court yards, delicious meals, engaging social activities, transportation, and the flexibility to choose care and services tailored to their specific needs. We want our residents to feel right at home during their stay. Bringing personal belongings, furniture or other personal touches for your room is highly encouraged and each room is fully customizable to suit each resident’s needs. Never be afraid to ask about an option! 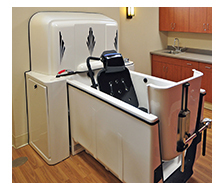 AT SPRING VALLEY HEALTH AND REHABILITATION CENTER OUR GOAL IS TO EXCEED YOUR EXPECTATIONS.